This section contains images of many subjects to help you familiarize yourself with the operation of the bviTouch system, and to experience the exploration of real images. The image subjects range from common neighborhood scenes like sunsets, rainbows, flowers and fall foliage, to iconic landmarks like the Washington Monument and Golden Gate Bridge, to land scape views of national parks, and finally to astronomical subjects. There are over 150 images in this section. Each image in this section has a verbal description, along with hints about how to interpret the musical tones. 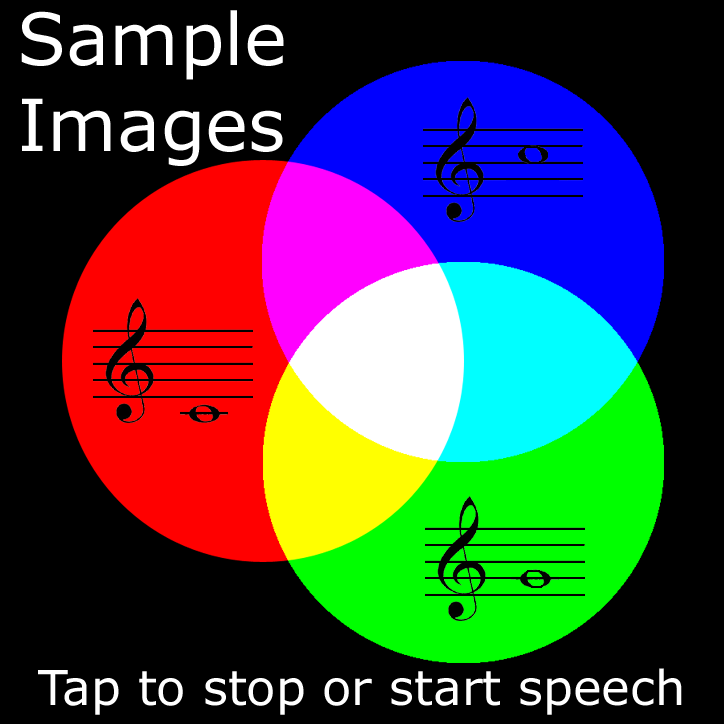 You can stop the vocalization of an images description by a quick tap anywhere on the image. You can restart the vocalization with another quick tap. Moving from image to image in this section is the same as in the Tutorial section. To exit the section and return to the main screen, do a quick single finger swipe up.